Strawberry and Vanilla Cake. 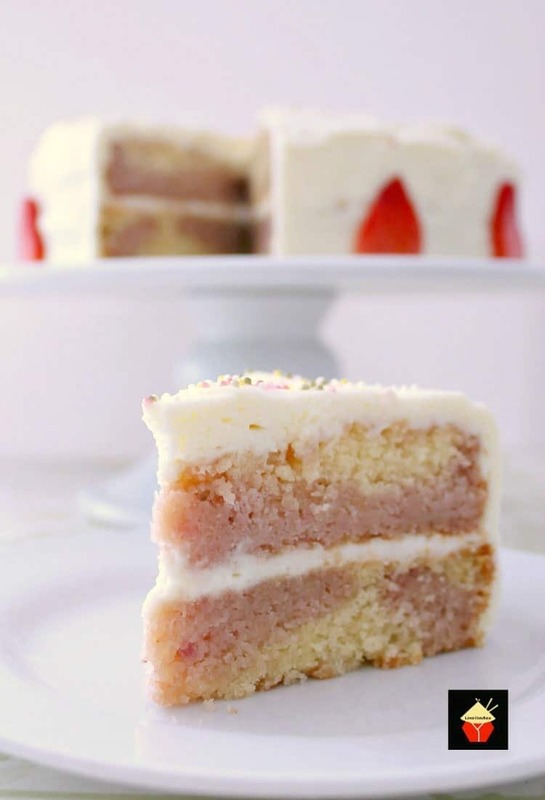 A soft and moist cake bursting with delicious strawberry and vanilla flavors. It tastes out of this world! Strawberry and Vanilla Cake! This is a wonderful cake, fun to make and of course delicious too! 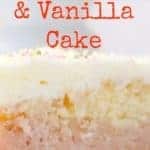 For this lovely recipe, I’ve used a basic marble cake recipe idea in order to get the two-tone effect you see in the cake, of vanilla and strawberry marbled. I wanted to create a cake which would taste just like strawberries and cream and one which would look pretty, but not overly fancy and fussy. With every bite, you get a taste of vanilla milkiness, combined with juicy, sweet strawberries. 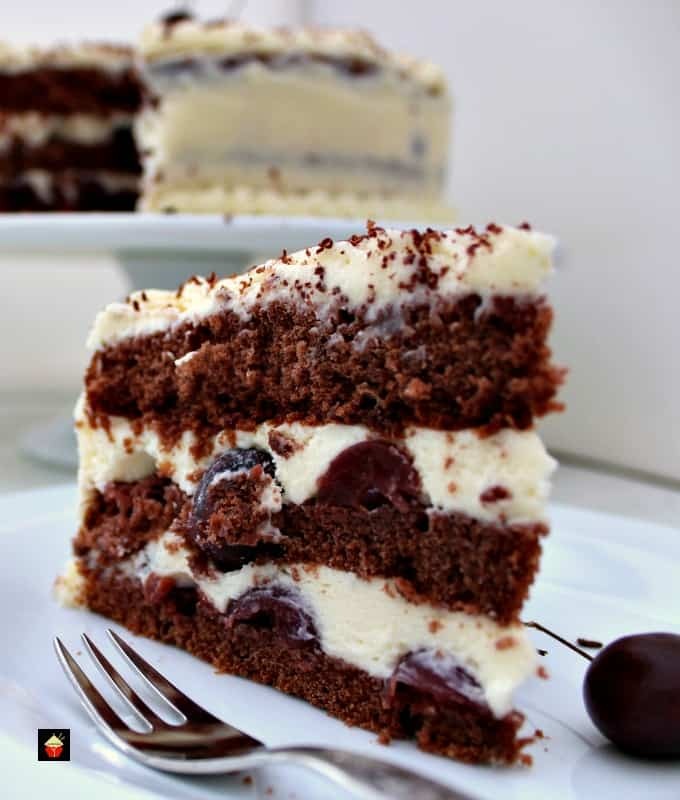 The fresh whipped cream frosting in the middle layer and on the outside of the cake adds to a wonderful creaminess and when all combined in your mouth, well… it really is just so delicious! 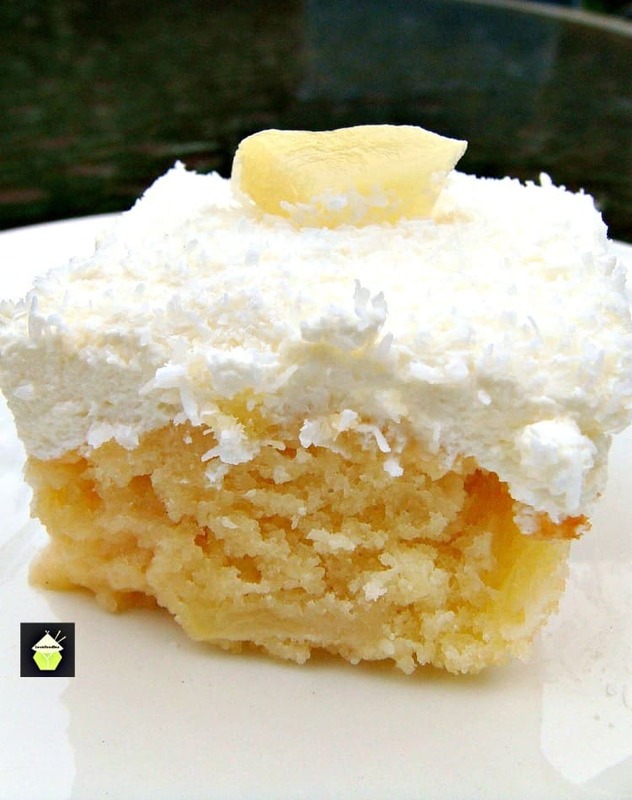 The texture of the cake is soft and fluffy, and of course it is nice and moist, you know I hate a dry cake! 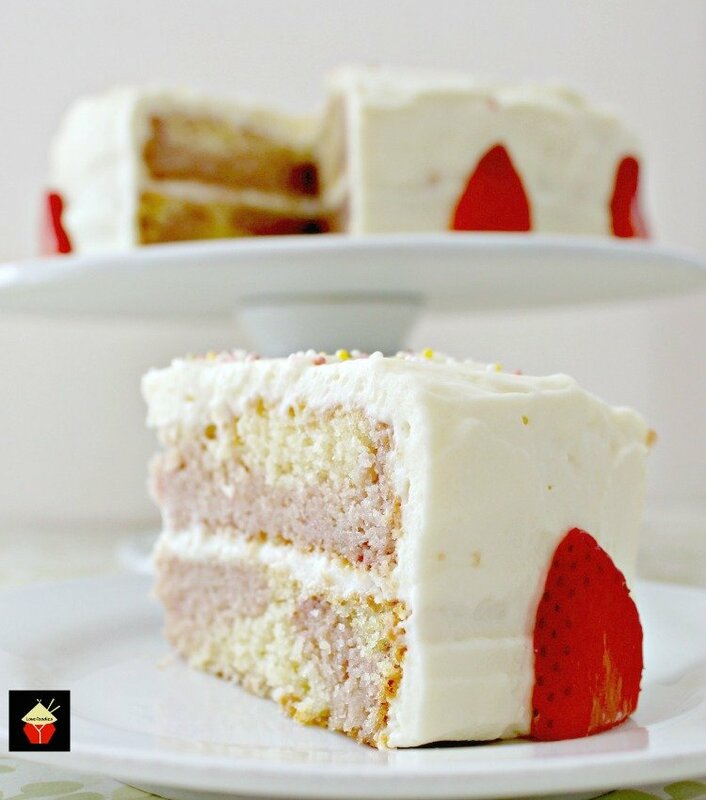 This strawberry and vanilla cake is an easy recipe, and you could, if you wanted to, make a nice fancy frosting by piping decorations all over, or just do as I have done by keeping it simple and easy and still, in my opinion, a stunning looking cake. This is a lovely cake for a birthday party or to take along to a celebration, potluck, BBQ or a gathering. 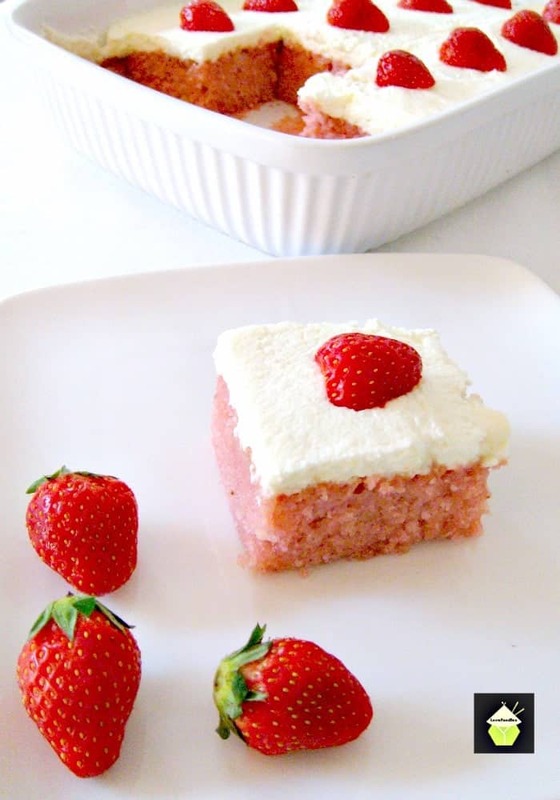 If you’re cooking for a crowd, for example at an event or perhaps a wedding reception, you could do this strawberry and vanilla cake in a sheet pan style. For a 13inch pan, I would suggest you double the recipe, and adjust the cook time. It will be a little more than if you were baking it in the round pans as per the recipe, so keep an eye on the timings! I would suggest checking the cake in your sheet pan after around 35 – 40 minutes and go from there. 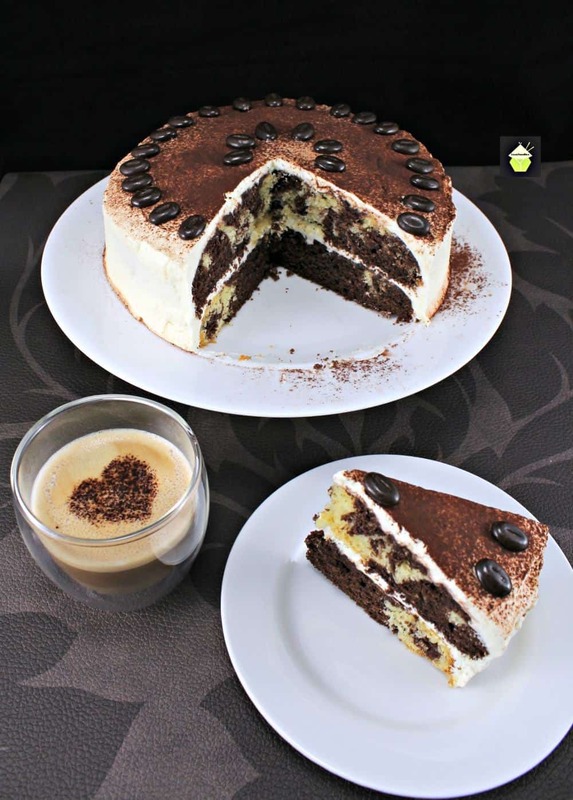 For chocolate lovers, we have a similar style cake, Chocolate Latte Cake. Please do try it, it’s so delicious and looks fabulous too! 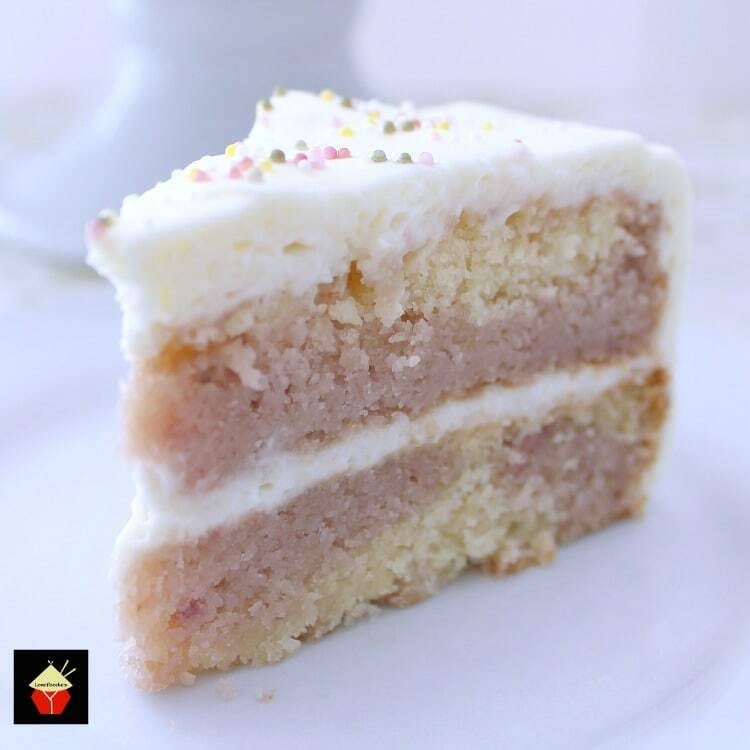 So please enjoy our Strawberry and Vanilla Cake, it is a lovely, moist and soft cake and happy baking! 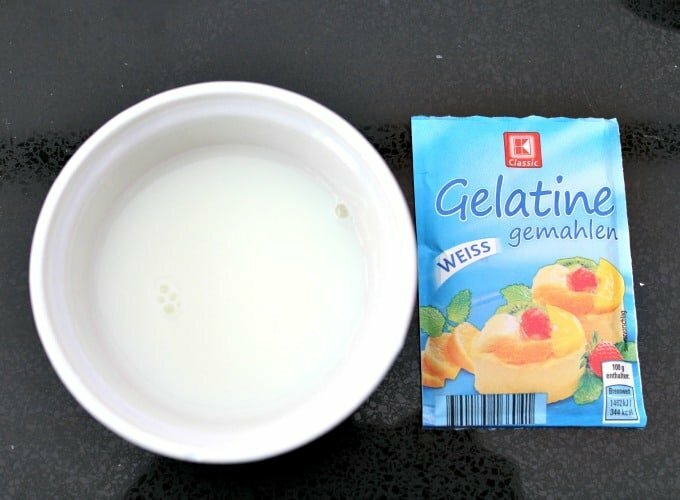 1 Cup or 150 g Fresh or frozen strawberries, mashed. A handful of strawberries for decoration if you wish. 1. 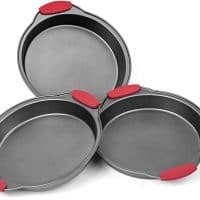 Preheat oven to 160 C, 325 F. Grease and lightly flour two 8 inches or 20 cm loose-bottomed round cake tins. 2. Sift flour, salt and baking powder. 5. 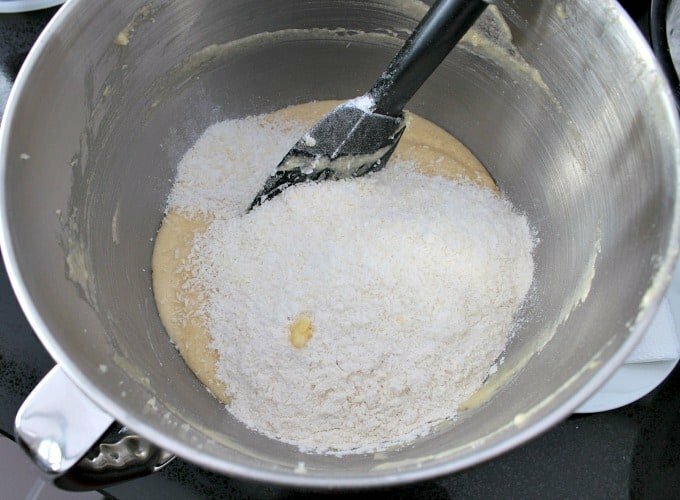 Divide cake batter mixture into 2 bowls. Add the mashed strawberries into one of the bowls and mix, together until all combined. 6. 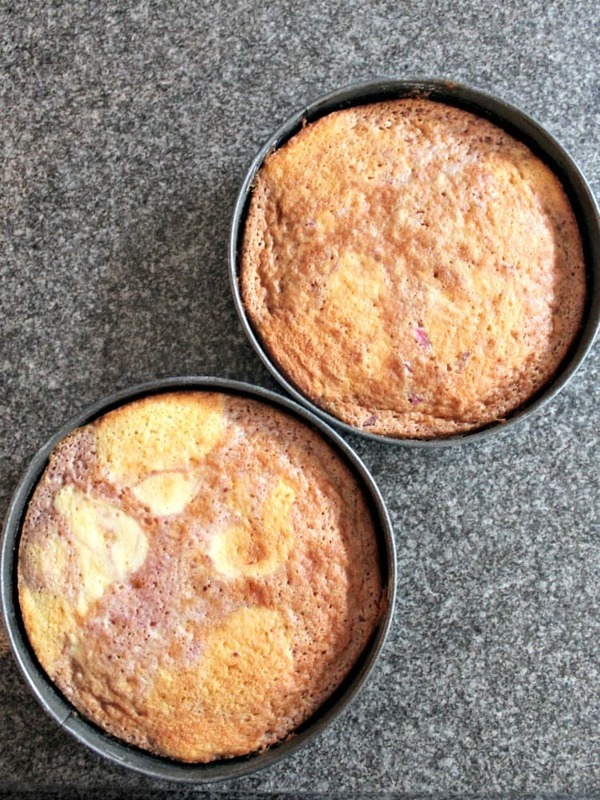 Alternate spoonfuls of vanilla and strawberry cake mixture into both tins. Use the end of a spoon handle to swirl around the mixture. *** Don’t over swirl. You want to leave the batter so you can see the different colors. This is how you get the marbling effect in the cake once it is baked. 10. Spread some frosting on the surface of one cake, place the other cake on top and frost the sides and top of the whole cake. Arrange some strawberries or sprinkles on the top. You choose what you like! 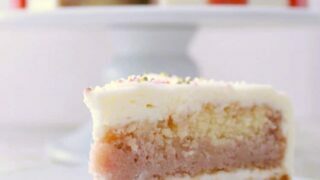 Refrigerate for at least an hour for the frosting to firm up a little then serve with a nice cup of tea, and there you have our Strawberry and Vanilla Cake. Please enjoy! 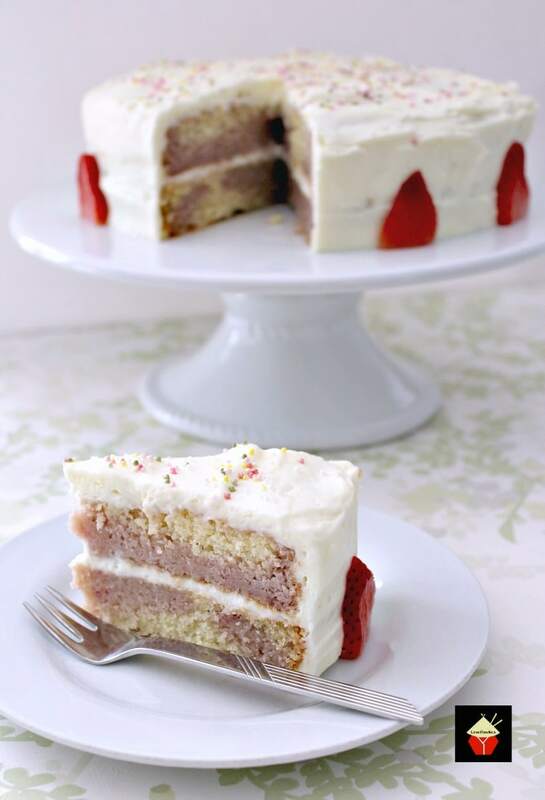 We’d love to hear from you and what you thought of our Strawberry and Vanilla Cake. Did you make any changes or add some other goodies? Let us know in the comments below. Thanks for reading and happy cooking! Sift flour, salt and baking powder. 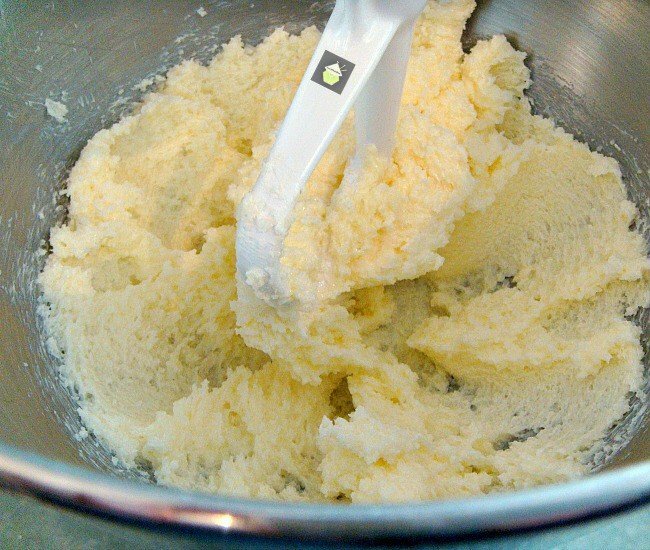 Divide cake batter mixture into 2 bowls. Add the mashed strawberries into one of the bowls and mix, together until all combined. 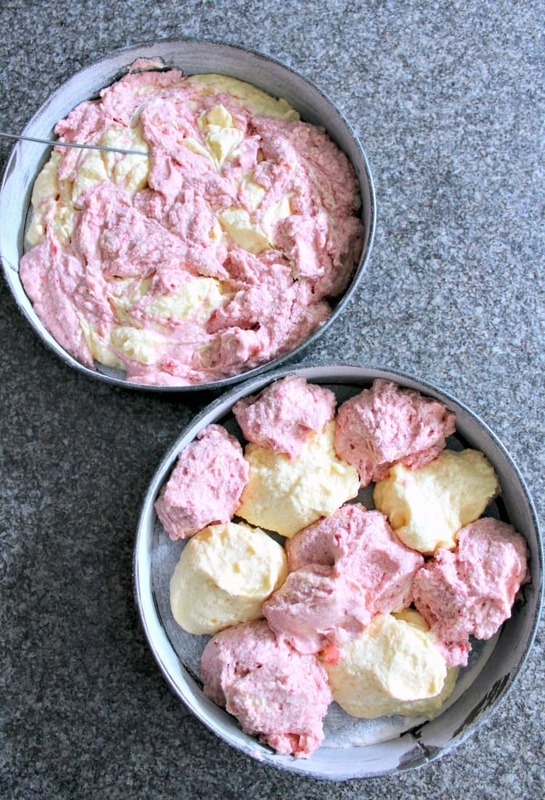 Alternate spoonfuls of vanilla and strawberry cake mixture into both tins. 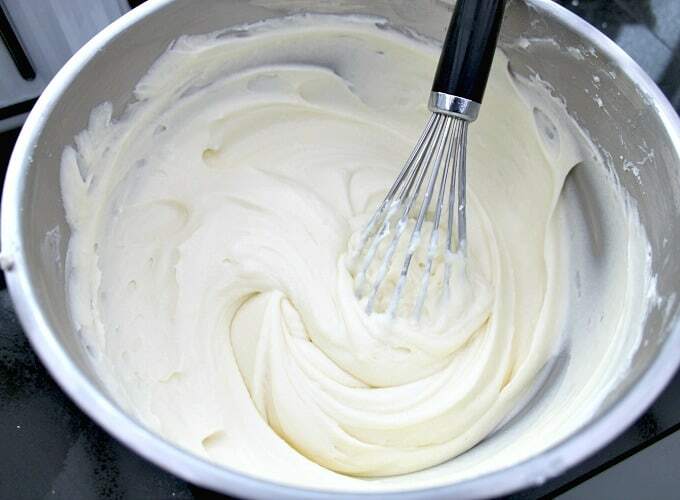 Use the end of a spoon handle to swirl around the mixture. *** Don't over swirl. You want to leave the batter so you can see the different colours. 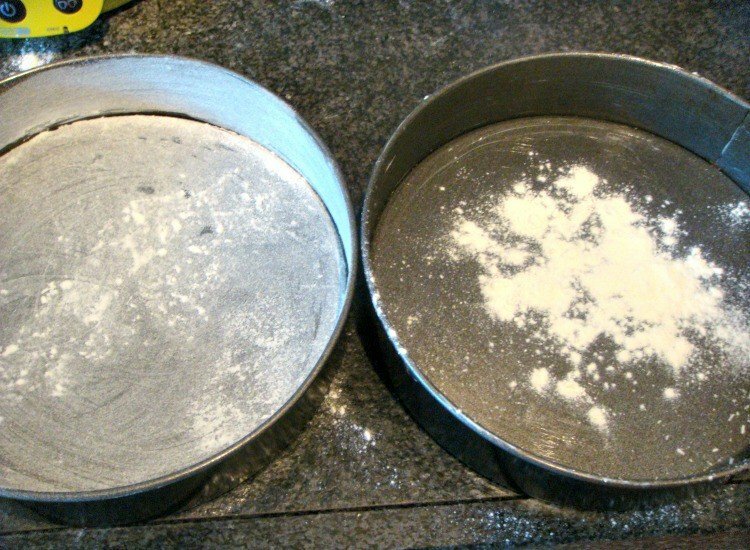 Spread some frosting on the surface of one cake, place the other cake on top and frost the sides and top of the whole cake. Arrange some strawberries or sprinkles on the top. You choose what you like! Refrigerate for at least an hour for the frosting to firm up a little then serve with a nice cup of tea, and there you have our Strawberry and Vanilla Cake. Please enjoy! What size eggs for the recipe ? Would it effect anything if I made one tin all strawberry and left the other all vanilla?Looks amazing, want to make for my daughters birthday.